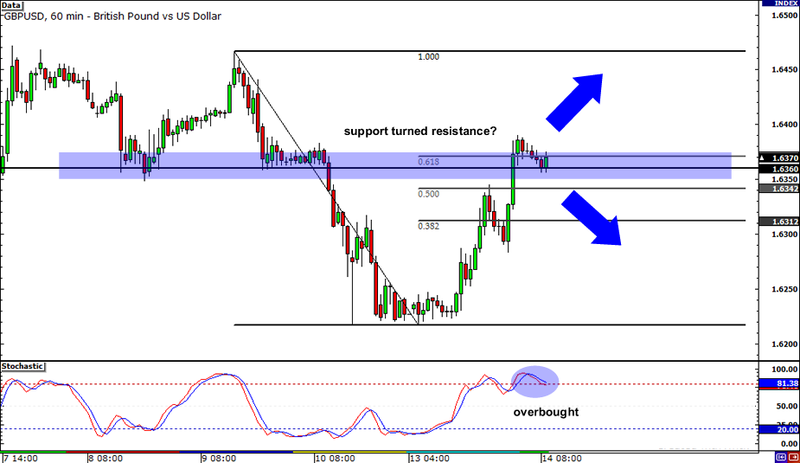 If you’re glued to the cable, you probably saw this cool retracement setup on the 1-hour chart. GBP/USD broke below support around 1.6350 last week and now it pulled up for a retest. According to the School of Pipsology, broken support levels tend to switch gears and act as resistance later on. The pair is sitting right at that level, still deciding whether to continue its rally to 1.6450 or to respect the 61.8% Fib and fall back to its recent lows. Stochastic is in the overbought zone already, which means that pound bears might have the upper hand. Euro bears, beware! EUR/USD is perched right on the 50% Fibonacci retracement level, which is just a few pips above the 1.4300 handle. In fact, that area of interest is also in line with the neckline of the double bottom formation we saw the other week! Stochastic looks ready to climb out of the oversold area, suggesting that euro bulls are about to push the pair towards the 1.4700 major psychological resistance. However, if euro bears refuse to give way, they could take EUR/USD back to the 1.4000 mark. 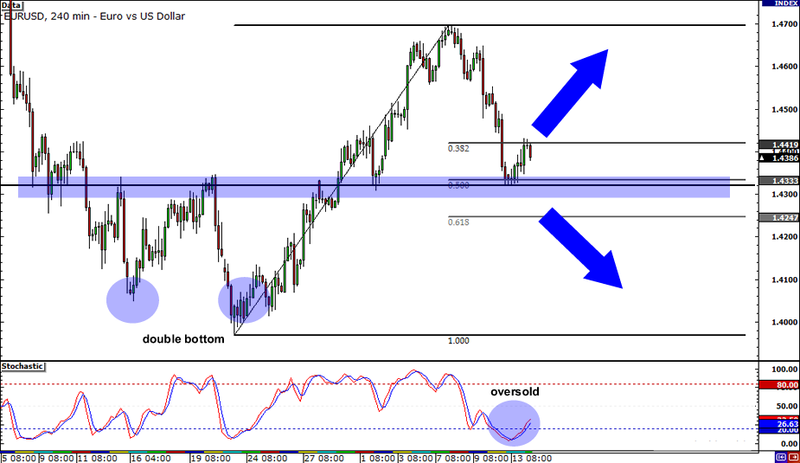 Check out this long-term USD/CHF setup! 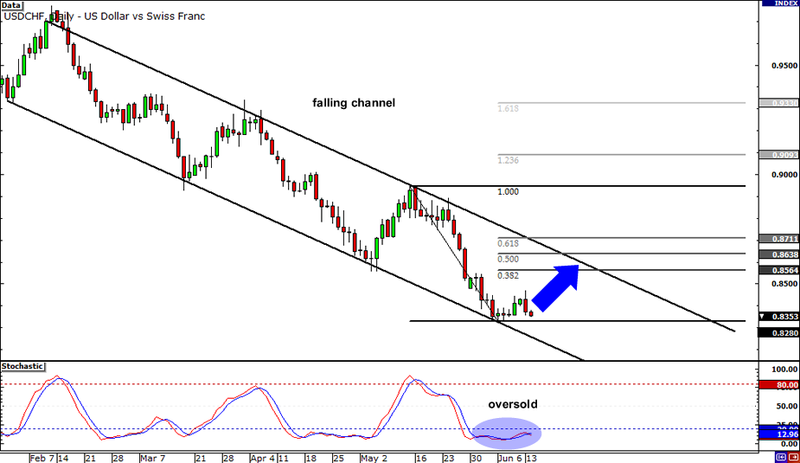 The pair has been crawling inside a falling channel on its daily chart and could be aiming for new lows. But before that happens, there’s still a chance that this pair could pull up to the top of the channel. Stochastic is already deeply oversold, which means that sellers need to take a breather, possibly until the 38.2% Fib level. If you’re planning to short this pair, make sure you set your stops outside the channel and above the 61.8% Fib!